While teachers and boys are focusing on building effective learning dispositions at school, there are many things that families can be doing at home to support their sons to develop these qualities. I cannot stress enough the importance of developing a regular reading regime at home. Motivation and engagement in reading for pleasure are clearly linked with academic success across the curriculum. Choice – give boys the opportunity to choose what they read. Have lots of books around. There is clear research that a book-rich environment has a positive impact on reading behaviours. Interest – seek out books that reflect your son’s areas of interest. Don’t forget to include both fiction and non-fiction books. Modelling – if boys see their family members (especially their fathers) reading in their free time, they will be more inclined to make this choice themselves. Book honouring – talk about books that you have enjoyed with your son. Perhaps even ask ask significant others in your son’s life (e.g. sporting coach, favourite cousin) to talk to him about the types of books they like reading. Recognise that the quantity of your son’s extra-curricular pursuits can have an effect on his readiness to learn. 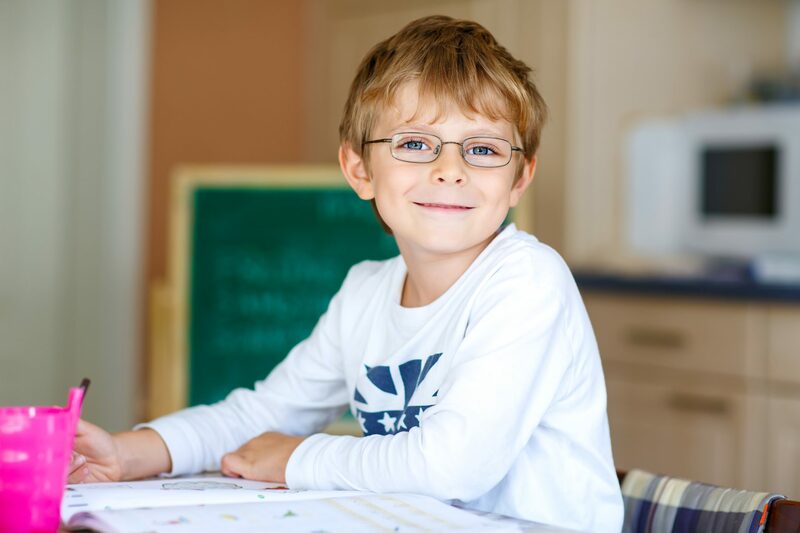 We understand the benefits of these activities, but there is a limit to what a boy can do after school while still allowing time to rest, reflect, read, consolidate through homework tasks and prepare for the next day. There is ample evidence that screen time is eating into our leisure time. You don’t need to search far to read of the potential risks of extended screen time to your son, including reduction in social skills and irregular sleeping patterns. Screen time needs to be balanced with other activities. Once again, your son will learn from your example. As adults, you have developedeffective organisational strategies that you could share with your son. Demonstrate the importance of being on time, routines such as setting out your clothing the night before, and using a diary or schedule effectively. This needs to be a supported journey. For example, while you should not be reminding him every day of his timetable, working together with him to construct a schedule will really help. I certainly don’t advocate doing your son’s homework but there is value in knowing what homework has been set and monitoring the development of healthy study behaviours. Professor Carol Dweck’s research supports the need for us to have a ‘growth’ rather than a ‘fixed’ mindset. You can support this simply by changing the language used at home from ‘I can’t’ to ‘Not yet’. Boys will be more courageous if they view challenges with a mindset that accepts that achievement occurs through learning, hard work and persistence. Again, it is important that this is modelled for them. Sharing your own stories with your sons encourages their growth mindset development. Tell them about your learning journey to achieving something challenging, like kite surfing or skiing. Let your son know how long it took you to learn that skill, emphasising how many times you failed along the way. Further, demonstrate your goal-setting behaviours and the fact that you are a lifelong learner. At home, discuss the purpose behind learning. Why, for example, do you practise yoga, study, run or read books? When your son is motivated by a purpose, he will apply himself more effectively. Homework gives you the opportunity to discuss the purpose for the learning that occurs at school. Your boys are developing their ability to recognise Learning Intentions and Success Criteria in their classrooms. Home discussions will reinforce this. Teachers prioritise the need to develop a strong relationship with your son and this can be reinforced at home. Open the line of communication with your son’s teachers and work together with each teacher to support your son. Show support for the school by attending information sessions and parent–teacher discussions. Model a level of respect for the teachers at your son’s school and advise your son on effective ways to develop relationships with peers and teachers. Remember to ‘walk the talk’. Let them laugh and they’ll learn. 5 top tips for you.